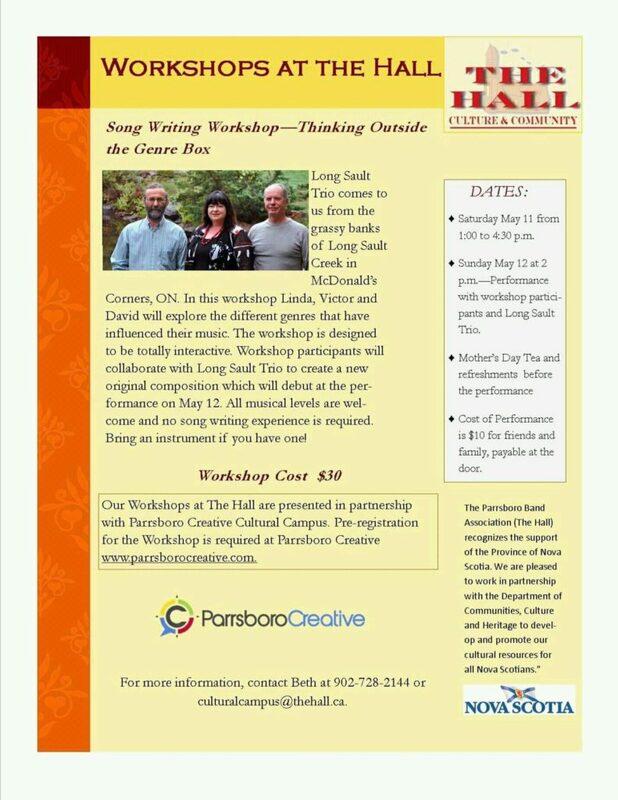 In this workshop, Long Sault Trio (LST) will explore the different genres and influences that each of the three members have had on their journey as musicians, composers and songwriters. Using their own compositions as examples, the group will discuss and demonstrate how they have incorporated these individual influences and interests to create a unique blend of different styles into original works. It is intended that the entire workshop will be interactive. The first half of the workshop will be dedicated to describing the different influences each band member has had, followed by an explanation of the sounds and rhythms that make different genres of music. LST will do this by focusing on three original compositions and relating how the song was born including how the lyrics, musical phrasing and other elements were used. In the second half of the workshop the attendees will participate directly in collaborating with the band to create a new original composition which will debut at the concert on May 12th. Participants are encouraged to join LST in this debut.